Sophia thought she was over her broken heart, but the news that her roommate has eloped with Sophia’s ex-husband hits her like a ton of bricks. She knows she should be fine with the unexpected revelation—after all, her boyfriend, Luke, is incredible, but it would seem her heart is not as resilient as she thought. 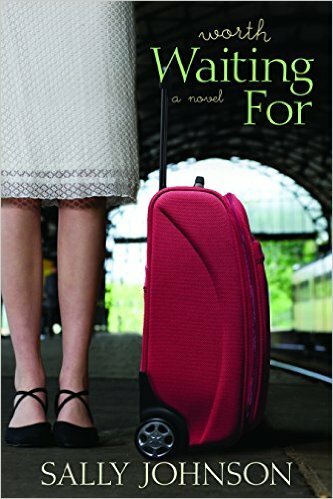 And as Luke prepares to leave for his European study abroad, Sophia’s feelings of fear and inadequacy threaten to overwhelm her. A summer with her family in Las Vegas gives Sophia the time she needs, but she still can’t shake the questions haunting her, the questions that continually threaten to put more than physical distance between Luke and her. Is she really ready to jump into a new relationship when the last one ended so painfully? Will her divorce always define her? Is she the one with the problem? As she wistfully observes others’ love stories blossoming around her, Sophia must decide whether she’s prepared to take another chance on love. Luke’s return from Europe forces Sophia to confront the decision she’s not sure she’s prepared for—will her troubled past destroy the happy ending she’s always believed is worth waiting for? Okay, what can I say about Worth Waiting For except that stuff like this does in fact happen in real life! I myself was married in the temple, to a returned missionary, and then divorced by age 19, as a sophomore at BYU. Yep. Crazy. Does happen. So, needless to say, I enjoyed Worth Waiting For. It is believeable, likeable, fun and has a great ending. The plot was a bit slow in some parts, and the character arc took a while, as expected. I would recommend this as a contemporary summer read with roots in Happy Valley and a great message about commitment, trust and faith. I have always loved to write. I have also always had an overactive imagination, which helps ALOT when making up fictional stories. In real life there aren’t any do-overs. But in fiction there is editing, revising and good ol’ deleting. In fiction, I can make my characters be anything or do anything I want. (I think that’s called manipulating in real life). It makes me love the possibilities. Sally received her bachelor’s degree in English from Brigham Young University. She and her husband, Steve, have four children and currently live in Las Vegas, Nevada.